Himachal Pradesh ranks first among states in Language and Mathematics competencies in latest Annual Status of Education Report (ASER)-2016. Education Department official revealed that state has ranked in the top as highest rate of children who can read a standard II level of text in the country. The spokesman said that on the basis of standard 5, in division competency, Himachal is first among all the states in the country in Mathematics as well. This is no mean a feat as it has raced ahead of states like Kerala which boasted of holding the pole position in education for years, he added. He said that as per ASER, the achievement level of government schools of Himachal in language was 65.3 percent as compared to the national average of 41.6 percent. 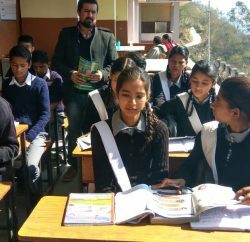 The achievement level of government schools of Himachal in math was 47.4 percent as compared to the national average of 21.1 percent, he added. He said that these results were not entirely surprising as Himachal has been undertaking several initiatives in recent times to improve the quality of learning in the state. Notable among these initiatives is a comprehensive overarching programme for systemic transformation of education in the state, which has been given the name, ‘Samarth’. 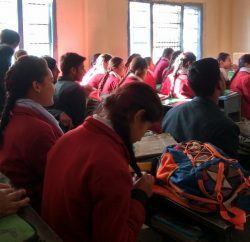 He said that SAMARTH is a statewide systemic transformation programme that seeks to reform the management and delivery of education across elementary government schools in Himachal. Unlike programmes that focus on pedagogy alone, the Samarth programme seeks to transform the systemic aspects of Education by which education is delivered to all government school students in the state. 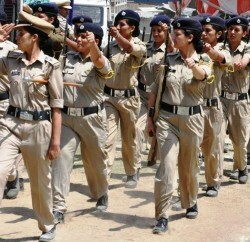 The spokesman said the state’s review and monitoring mechanism has been entirely revamped. Whereas meetings were held infrequently on anecdotal information in the past, the Department now conducts data-driven meetings every month at both state and district levels. District and block officials meet regularly with the Director (Elementary) and State Project Director (SSA/RMSA) to identify root causes of problems and to solve them. Similarly, the system is also energised by a unique initiative of the Government called KhaasShiksha, wherein teachers, head teachers, principals etc. across the state are recognised and honoured for innovative teaching practices. Such initiatives motivate and energise the education system which finds reflection in other activities of the department. The spokesman said that earlier, delivery of free textbooks was often delayed, which hampered classroom teaching. This year, however, over 55 lakh textbooks for classes 1-10 have already been delivered to all 6 lakh eligible students across the state before the beginning of the next academic session, he added.